It hasn't been six months since I bought the iPad, but I already got this problem twice, a message Cannot Connect To iTunes Store appears again since three days ago when I try to up date the application of BookStore . I've forgotten how to solve this problem as the previous problem happened about three months ago so must look for the solution again through the Apple website. Many Apple users give different solutions, and I must be careful not to try them all. One of users suggest that the server is over uploaded, which I don't really understand. I finally remember when one of the users come up with a suggestion to reboot the iPad by pressing the Home Button and the Sleep Key together, but unfortunately....it didn't work. I kept trying to up date by signing the password, finally it came up a message about new terms and conditions on iTunes. I clicked the agreement license and then automatically the BookStore application is updated - the problem ss solved now. I suppose no one knows exactly what cause the Apple users cannot connect to iTunes store - I've been solved this problem with different solutions. 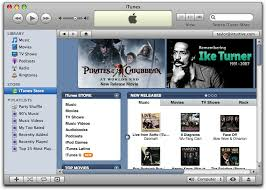 Hope this can help other Apple users with the Cannot Connect To iTunes Store problem, but remember this idea might not suit your problem at all so be very careful!